Love fever has taken over the Kadic school! First, Aelita catches Jeremy kissing Heidi! Then, Yumi sees Ulrich kiss Sissi! 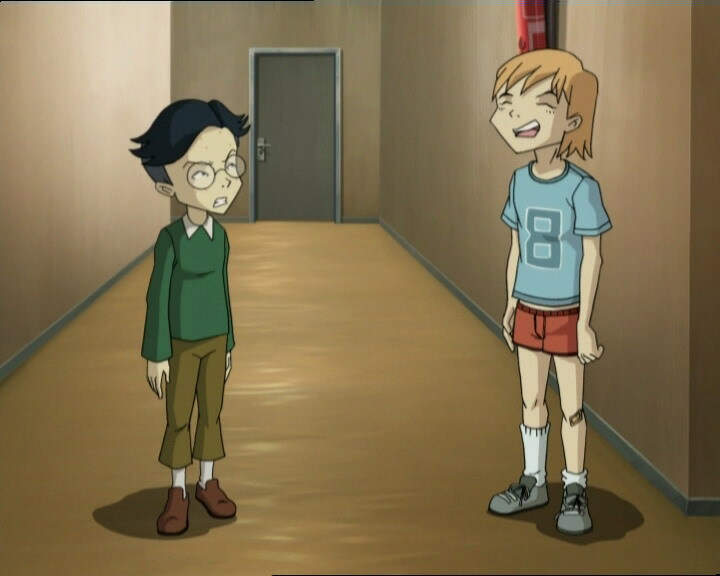 Jeremy finds out that Aelita is going out with Nicolas! The gang is in serious danger of falling apart at the seams, starting with Jeremy who has a huge falling out with Aelita. Once again, X.A.N.A. is behind it all. 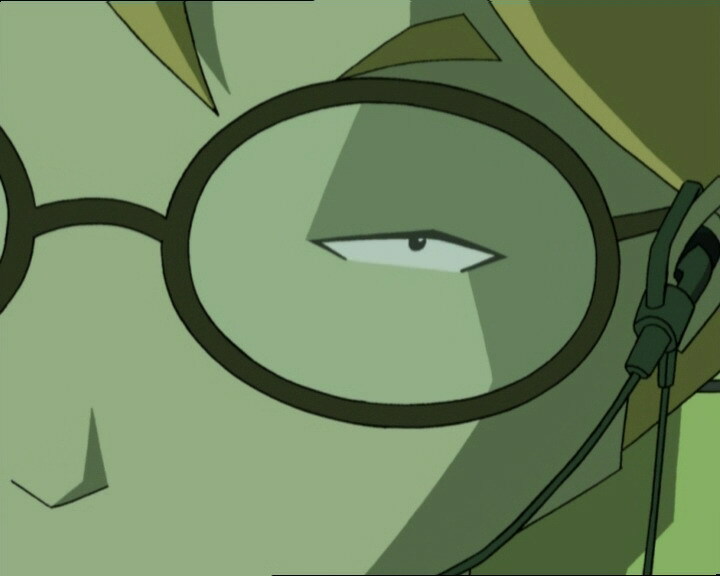 This time, it has sent a polymorphous specter which can change its appearance at will to the Academy to divide and rule… but our heroes figure it out with just enough time left to get to Lyoko and save Aelita from the Scyphozoa’s clutches. Right in front of a stunned Odd, Jeremy walks though the quad and steals a kiss from Heidi, continuing his walk as if nothing had happened. 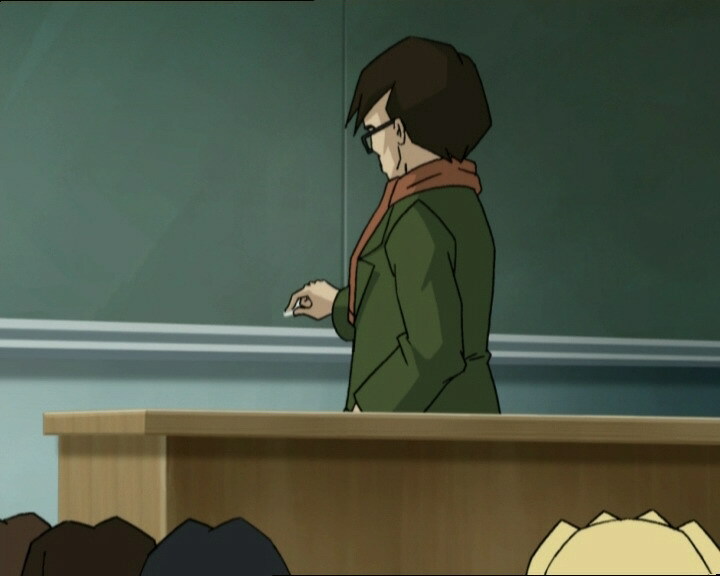 A short time later, Yumi kisses a boy in her class, not far away from William, watching with curiosity. 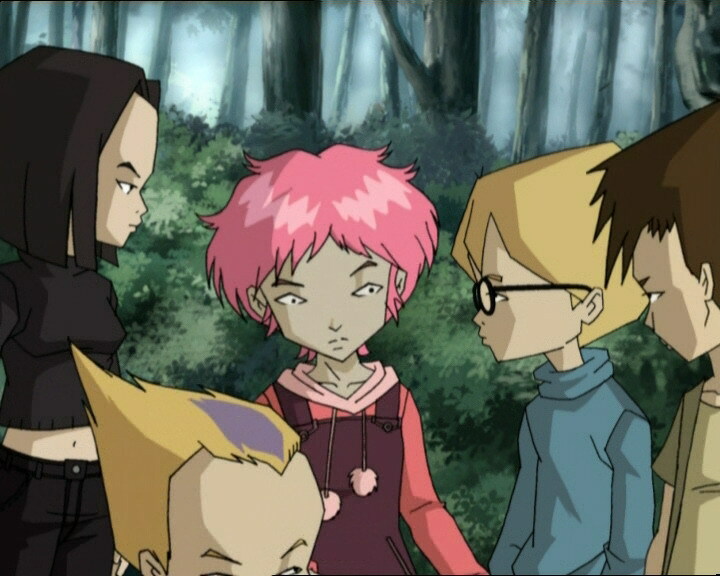 After Aelita and Ulrich learn of the events, disruption occurs in the group and insults fly, while the two people under scrutiny (Yumi and Jeremy) say they know nothing about these stories. The shenanigans never cease and Aelita leaves for the Hermitage in tears. Jeremy then notices that an attack has been launched and he becomes suspicious. He calls Yumi, Ulrich and Odd and expresses his suspicion about the existence of a clone! XANA had one simple objective: divide and conquer. 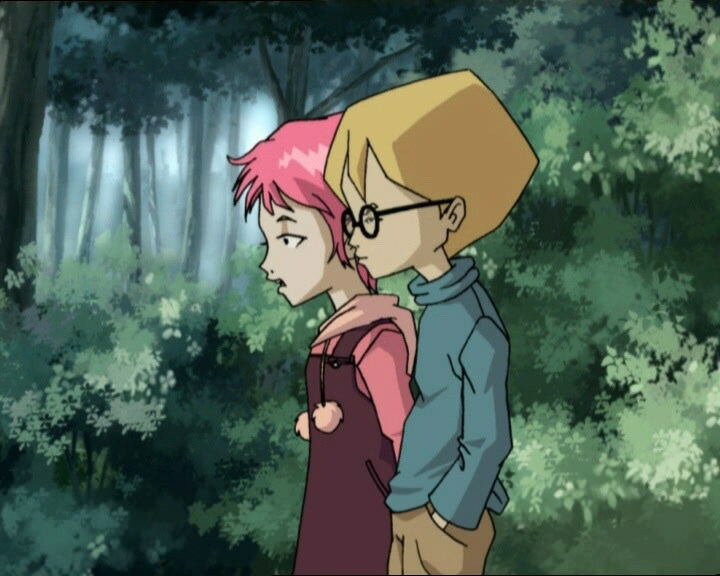 The group goes out to find Aelita, and Jeremy is sure he’ll find her at the Hermitage. Aelita is indeed alone at the Hermitage, crying about the fight with her lover. The fake Jeremy arrives and explains about the existence of a polymorphic clone (which is in fact itself) and asks her to come with him to the factory, suddenly kissing her and leading her into a run outside… But the fake comes across the real Jeremy. Aelita and the rest of the group can’t tell which is real, but when the spectre says that he’s the real Jeremy because he kissed her, Aelita retorts that Jeremy would never have kissed her like that! 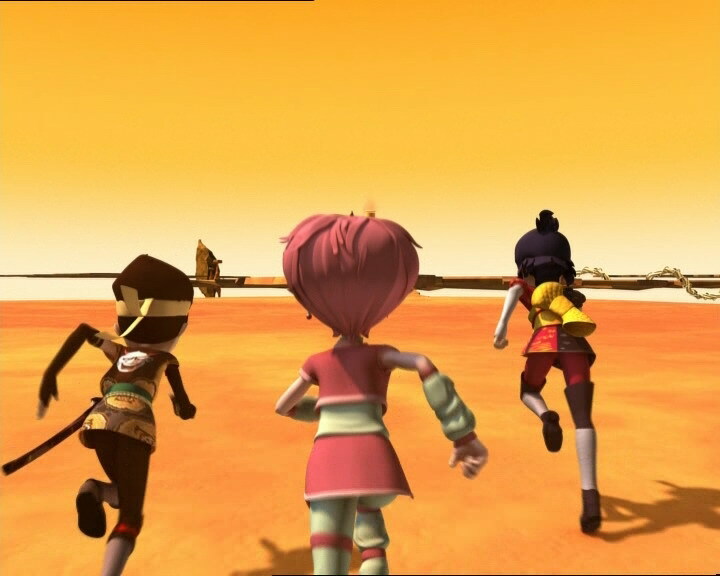 The clone then holds Aelita until the other four heroes jump on it, tackling it to the ground. 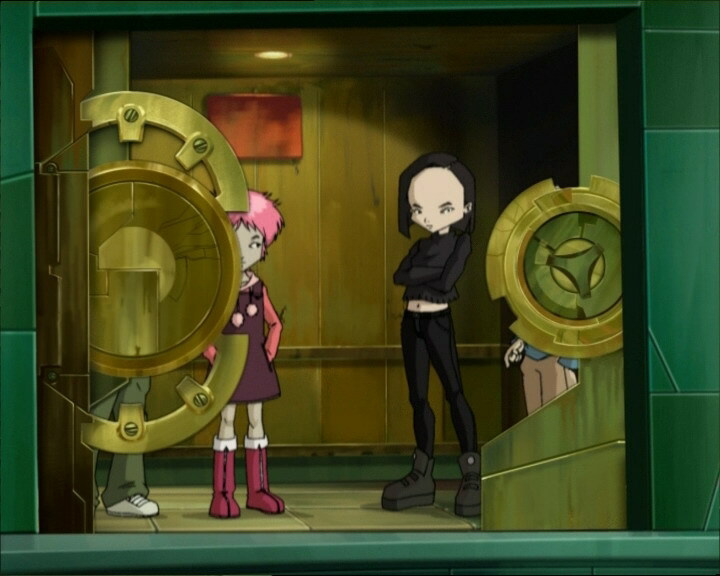 Odd chooses to stay back and distract the spectre, the rest of the group go to the factory via the secret tunnel at the Hermitage and go to Lyoko. Odd isn’t able to do much against the invincible polymorphic clone which has just taken his appearance, Jim’s, and more… The spectre leaves him unconscious on the floor of the house, going to the factory and taking Yumi’s appearance. The real Japanese girl is devirtualised by the monsters. 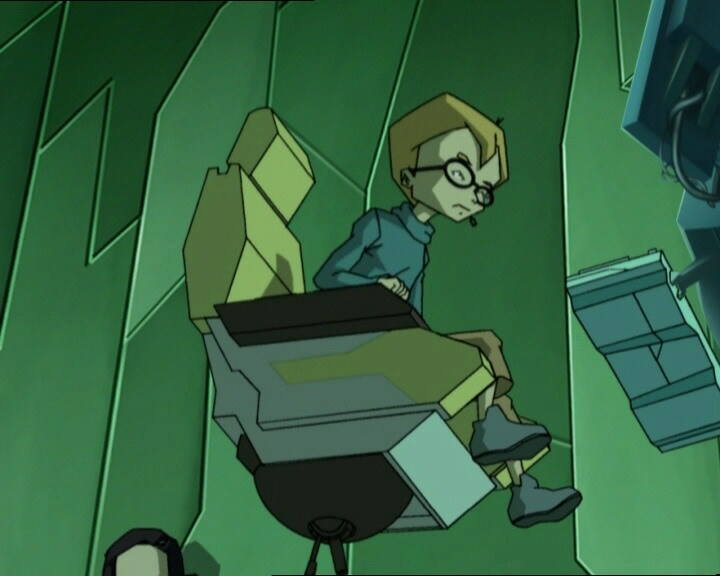 Ulrich asks Jeremy for the Overbike to get to Aelita, because her memory is being stolen by the Scyphozoa. Jeremy fulfils his request but as soon as the vehicle appears, so does Yumi’s clone, throwing Jeremy away from the terminal and reversing the virtualisation of the vehicle, before turning back to Jeremy, lightning in its eyes and fingertips. Cornered, Ulrich makes use of his Supersprint to make a fantastic leap, grabbing onto the edge of the platform Aelita, the tower and the monster are on. Pulling himself up, he cuts the gelatinous monster’s tentacles without any difficulty. On Earth, Odd gets back from the Hermitage and finds Jeremy unconscious and two Yumis facing off. Not letting himself be deceived, he recognises the real Yumi when she calls him a peabrain. The clone is still as powerful as ever and the two students are saved when the tower is deactivated. The friends find themselves back at Kadic, reconciled once again, without anything having changed. Nonetheless Aelita asks Jeremy to come with her to “check something”. She kisses the blond passionately, walking away and leaving him petrified on the spot, visibly satisfied. 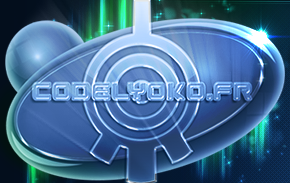 - Attack: Send a polymorphic clone to disrupt the group’s cohesion, and send Aelita to Lyoko for the Scyphozoa. - First huge fight between Jeremy and Aelita. - First appearance of the polymorphic clone. - Second episode in which Nicolas punches Herb. - Yolanda is engaged and will soon be married. - According to Jeremy, Aelita loves croissants with her hot chocolate. - Odd says he’s gone out with all the girls in year 8 except for Heidi Klinger (plus Aelita and Sissi). - We see in this episode a total of seven kisses. But the only “real” kiss is the one between Jeremy and Aelita at the end. - The lift is at the factory entrance just before the polymorphic clone calls it up. - Herb’s hair is entirely black when he asks what Ulrich has that he doesn’t. - After Heidi asks why Jeremy kissed her in front of Odd, her purple pants disappear. - Jim’s rolled-up sleeves are red instead of black when he sees Yolanda (the polymorphic clone) arrive. - When Odd is shown kicked into a pile of books by the fireplace, his undershirt is missing from his torso. 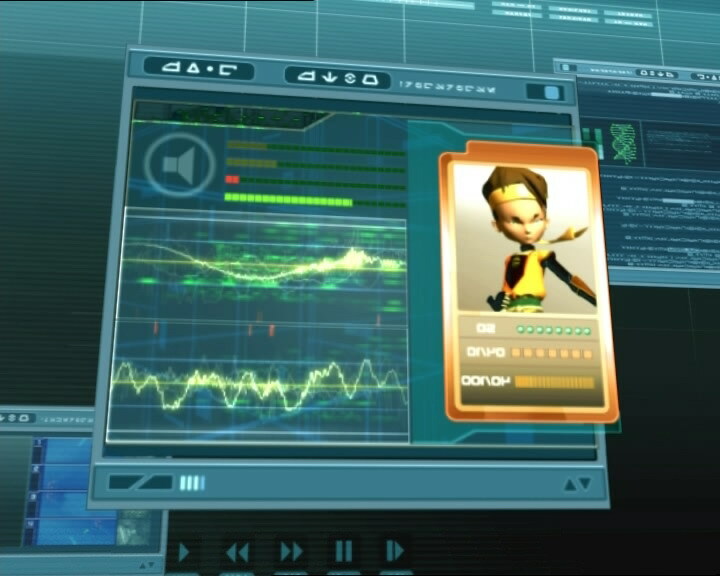 - When the polymorphic clone approaches Jeremy, we can see Odd’s icon on the computer screen but he wasn’t virtualised in this episode. - Just before Aelita enters the Code Lyoko, her outfit is reversed. - The factory microphone disappears from Jeremy’s ear when he tells Ulrich he’s sent the Overbike and when he’s thrown by Yumi’s clone, and in one shot it’s in his right ear. - At the moment when the polymorphic spectre arrives at the factory, we hear it panting, which shouldn’t be the case because spectres don’t breathe. - In the original French, this episode was previously titled “Ennemi intérieur” (“Enemy Within”), then “Diviser pour régner” (“Divide and Conquer”) and finally “Mon meilleur ennemi” (“My Best Enemy”). - First mention of the name of Ulrich’s vehicle. - Nicolas hits Herb exactly as in episode 35, “The Chips are Down”. - Ulrich says he never kissed Sissi, however he did in episode 19 “Frontier” and Sissi kissed him in episode 41 “Ultimatum”. Odd makes an allusion to episode 31, “Mister Puck” when XANA had tried to XANAfy him and Ulrich but didn’t succeed. Joseph Simon Gallieni was a French soldier in the late nineteenth century. Ulrich: So you’ve dated every girl in the eighth grade? Jeremy: Are you trying to set a record or something? Odd: No way, I’m just searching for true love! Sissi: Well, look who’s here! My dear Ulrich, want to go see a movie with me this afternoon? Ulrich: Uh, that would depend on what’s playing. Sissi: “Adventure in the Tropics”! Ulrich (lying): Ohhh no, what a bummer! I’ve already seen it! Shame. Herb: I’ll go see it with you! Sissi: Great! Let’s go, then! Herb: Hey, do you mean that?! Herb: You make me sick, Stern! You really think you’re hot stuff, I’m gonna knock that smile right of your face! Ulrich: Oh yeah? Well go on then! What are you waiting for? Odd: I said jealousy makes people go bananas! Ulrich: Yeah, and love plays tricks with your mind! Jeremy: Great! 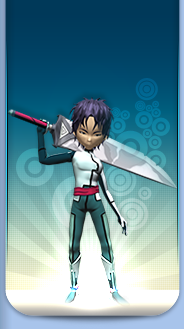 I gotta go and get Aelita! I promised to give her my croissants. She likes croissants with her hot chocolate! Odd: What were you saying about love? What does it do to people’s minds? Ulrich: Looks like there are no exceptions to the rule! Odd (in the shower): I’ve finally got a date with Heidi! Ulrich: You’re gonna give her your croissants? Odd: You must be joking! A guy’s gotta eat, doesn’t he? Heidi: Jeremy? Would you mind telling me why you kissed me in front of Odd?! Jeremy (confused): What are you talking about? Jeremy: Hey everyone! Slide over and make me some room! Odd: Don’t you want to sit with Heidi? She’s all by herself! Odd: You know something? You threw me a real curveball there, Mister Romantic! William: Hey Ulrich! Glad I ran into you. In case you haven’t heard the latest news, Yumi is going out with Matthias Durel! Yumi: Morning, everyone! (taking the croissant from Ulrich) Hey, thanks Ulrich! Ulrich: So uh, you really like Durel, do you? Yumi: He’s a nice guy, why? William: How does he kiss, huh? Yumi: Kiss? How should I know? Yumi: Uh, rumour has it I’m dating Matthias Durel? Jeremy: No kidding! Rumour has it that I kissed Heidi Klinger! Herb: Ulrich will never go out with you. He said so, I heard him! Sissi: What were you saying? Herb: How does he do it? What does he have that I don’t?! Nicolas: Everything! Except for your gross pimples! Jeremy: Aelita, can we talk? Aelita (glaring): We’re in class! Jeremy: And what about you? Kissing Sissi to get back at Yumi, you call that nice? Ulrich: What?! I didn’t kiss Sissi! Mr Fumet: So my first question is: when did Gallieni die? Well class, I’m waiting! Ulrich, uh, when did Gallieni die? Ulrich: Uh! Um…well…um…at the end of his life? 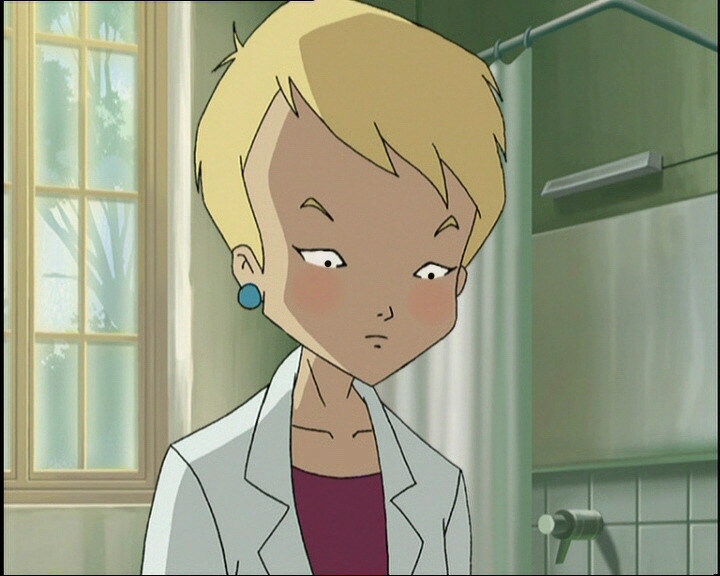 Aelita: Jeremy? You wanted to talk to me? Jeremy: Yeah. Let’s talk about you and Nicolas! Jeremy: I sure hope he’s better at kissing than he is at math! Aelita: What are you talking about? I never kissed Nicolas! Jeremy: I don’t believe this! First you kiss the biggest loser in the whole school, and then you lie about it?! Jeremy: All this kissing…is another one of XANA’s schemes! Odd: That doesn’t make any sense, he can’t control us! Jeremy: I know that. But I also know that I did not kiss Heidi! So there must be a Jeremy clone somewhere! 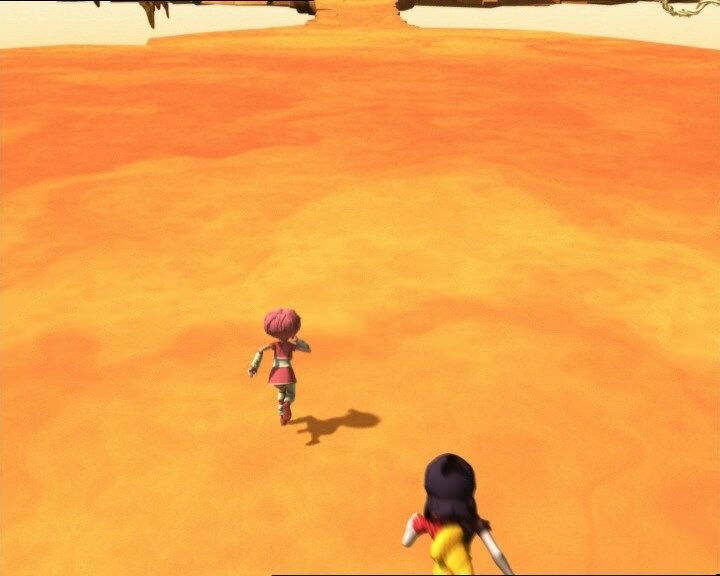 Yumi: And a Yumi clone! Ulrich: And an Ulrich clone, also! Jeremy: Right. And I bet they’re all just one big polymorphic clone! Polymorphic clone (as Jeremy): I’m really sorry, Aelita! Aelita: You’re…not angry with me anymore? Polymorphic clone: No, I figured it out. You see XANA was using a polymorph than can change its appearance at will. Polymorphic clone: It’s XANA! He made a clone of me to trick you! Jeremy: Don’t listen to him Aelita, he’s XANA! Odd: If I’ve got this straight, one of these two is the poly-dorking clone, right? Yumi: The polymorphic clone, Odd! Polymorphic clone: I kissed you! Aelita: That’s right. The real Jeremy would not have kissed me like that! Odd: Oh no! Not the big tough guy! Odd: Hey, XANA! If you’re gonna keep changing appearances like that, do me a favour and turn into a wimp next time! Odd: Oh no, not him! I know his kind. Small, but tough as nails! Jeremy: Ulrich, the Scyphozoa’s attacking Aelita! Forget about the monsters for now! Ulrich: Hey, it’s no picnic out here! Ulrich: Jeremy, I’m gonna need the Overbike! Jeremy: You got it, Ulrich! Don’t worry, Yumi, we’ll manage! 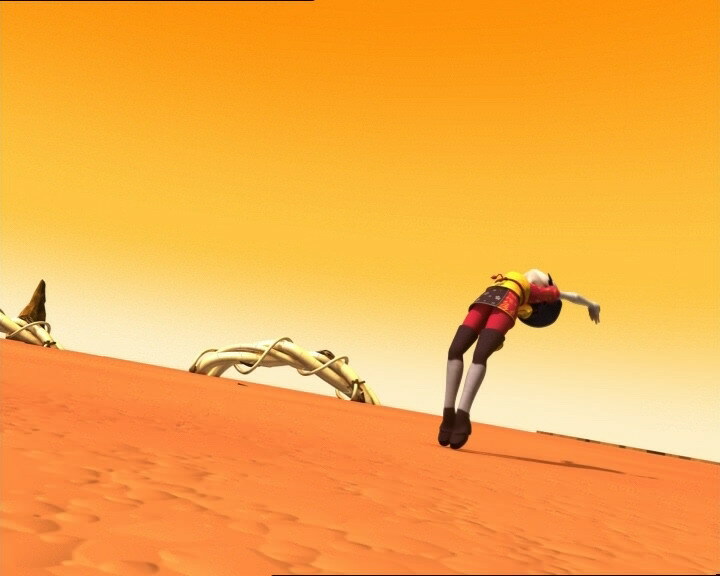 (the clone throws him away from the terminal) Waaah! Odd: Ok, poly-whatever, I’m gonna transform YOU now! Polymorphic clone (as Yumi): Odd, help me! It’s XANA! Yumi: You’re not gonna believe this polymorph, are you?! Yumi: Odd, no! Cut it out, peabrain! I’m the real Yumi! Odd: Yeah, right! You expect me to fall for that old one? On three, we pulverise you! One…two…three! Ulrich (to the Scyphozoa): Drop her, fishface! Odd: Well I’m not feeling so great! Yolanda (seeing Jim’s flower): That’s very sweet of you Jim…but as I already told you, I’m engaged to be married! Jim: But if that’s true, Yolanda, uh…why’d you kiss me? Yolanda: You should get some rest, Jim. Now be a good boy and let me take your temperature, alright? Yumi: How did you guess I was the real Yumi? Odd: Because you called me peabrain! XANA would never call me that! He’s got too much…respect for me! Jeremy: Oh no, XANA just doesn’t know you as well as Yumi does! Aelita: Jeremy, would you come with me for a minute? I um…I’d like to check something, you mind? Jeremy: Uh, no, go ahead! Check what? Odd: Uh, Jeremy! Come back down to Earth! Let’s hope that XANA leaves us alone for a little while, I think Jeremy’s gonna need some time to get over that one, huh guys?